Please complete the complementary quiz to this training e-session if you are a candidate for the certificate program. Learn how to initiate or improve your company’s internal systems to deal with allegations and red flags of misconduct. Identifying employee misconduct before it leads to a culture of “skirting the rules” is critical for the good reputation of any business. Employees and management need to have robust systems in place to deal with allegations of misconduct. This e-session will help you design an internal investigative framework that promotes transparency and is appropriate for your company. Mr. Tassé is an investigative and forensic accountant with practical experience in the fields of fraud prevention and detection, as well as economic damage quantification. An internationally renowned subject matter expert in the fields of anti-bribery and anti-corruption, anti-money laundering, and combating the financing of terrorism, he has been selected as an independent expert by the International Monetary Fund to undertake the mid-term evaluation of its Anti-Money Laundering and Combating the Financing of Terrorism Thematic Trust Fund. Mr. Tassé is an active member of the Standards Council of Canada’s mirror committee MC/ISO/TC 309 – Organizational Governance (which provides guidance on the governance of organizations, anti-bribery management systems, and whistleblowing), and appeared before the Canadian House of Commons Standing Committee on Finance during the statutory review of the Proceeds of Crime and Terrorist Financing Act. Considered one of Canada’s leading experts in ethics and governance, he has been involved with prominent think tanks on transparency and integrity, and is also a member of Transparency International’s Anti-Corruption Expert Network. Brooke Grantham leads the TCS team that trains and advises trade commissioners on how to guide their client companies to be responsible international corporate citizens. Stefan Linssen is the EVP of Global Partnerships and Chief Content Officer at the Ethisphere Institute and is responsible for setting the direction of Ethisphere’s global media platforms, which include Ethisphere’s publications, Ethisphere Magazine and Ethics Summits held in key cities across North America, Europe, Latin America and Asia, and other domestic and global platforms which provide opportunities for senior executives of multinational companies to connect with and learn from one another, as well as to share tools and resources to enhance and expand their ethics, legal and governance programs. Join this webinar to learn about the draft 2019–2022 Federal Sustainable Development Strategy, which is the Government of Canada’s plan to promote clean growth, ensure healthy ecosystems and build safe, secure and sustainable communities over the next 3 years. 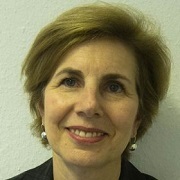 Gail Haarsma is a Director in the Sustainability Directorate of Environment and Climate Change Canada and is currently responsible for the Federal Sustainable Development Strategy and Progress Report as well as amendments to the Federal Sustainable Development Act. She has more than 25 years of consultation and engagement experience both inside the federal government and in the private sector and has been with Environment and Climate Change Canada for almost 10 years. Please fill out the from below to view the webinar recording. By providing your email address, you agree to receive Canadian sustainability news, event / webinar invitations, and other resource downloads from the Global Compact Network Canada. The webinar will load upon submission of the form. Learn more about the Anti-Corruption certificate program. Eastern Europe presents both a great opportunity for businesses and also a great challenge. To help you overcome some of these great challenges, this e-session will cover the current state of the corruption landscape and present an approach on how to best manage corruption for businesses trading with, or considering an expansion into, Eastern Europe. This training e-session will also introduce Anti-Corruption Network for Eastern Europe and Central Asia, and will primarily focus on the critical economy of Russia. Overall, this e-session will help businesses learn how to plan ahead, create effective and risk-free relationships, avoid unchecked growth, and understand Eastern European culture and policy. In this e-session, a Canadian Trade Commissioner will also be speaking briefly on anti-corruption/governance considerations for Eastern European countries. Glen Jennings is a partner in Gowling WLG’s Toronto office and leader of the firm’s White Collar Defence and Investigations Group. A seasoned litigator in both criminal and regulatory matters, he brings extensive expertise in white collar defence, complex regulatory issues, internal investigations, and corporate risk and compliance. Glen’s practice spans a wide range of regulatory and criminal matters with a focus on domestic and foreign corruption, complex tax issues, fraud, money laundering, internal investigations, and antitrust and securities cases. 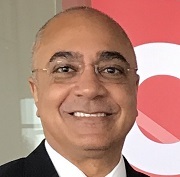 He has appeared at all levels of Ontario Court, including the Court of Appeal for Ontario, the Superior Court of Justice and the Ontario Court of Justice. Adam Barbolet is Senior Trade Commissioner and Commercial Counsellor at the Embassy of Canada in Ukraine. Prior to his posting in Ukraine, Adam spent three years in a similar position at the Canadian Embassy in Kazakhstan, with concurrent accreditation to Tajikistan and the Kyrgyz Republic. In addition to a strong understanding of corruption risk threats companies face, Adam has significant experience advising companies on reputational risk mitigation in emerging economies, including in the South Caucasus. Before joining Global Affairs Canada, Adam co-authored Conflict-Sensitive Business Practices: Guidance for Extractive Industries (which includes guidance on corruption and transparency). Download presentation decks from the GCNC and Paul Lalonde. Africa is up and coming – is your company ready to take advantage of the huge opportunities presented in virtually every sector of its economy? Many African countries have been experiencing strong growth and are investing heavily in acutely needed social and physical infrastructure, yet, much of Africa continues to be plagued by high levels of corruption and are identified as high-risk jurisdictions. Companies looking to pursue opportunities on the continent need to have a clear-sighted understanding of the diversity of the legal, cultural, social, political and risk environments that each region and country presents. This session will explore the nature of the risks at play and lessons learned from companies that have successfully (and sometimes less successfully) invested in Africa. In this e-session, a Canadian Trade Commissioner, Ryan Ward also spoke on anti-corruption/governance considerations for African countries. The Canadian Trade Commissioner Service provides services to Canadian companies around the world, and Canada’s trade commissioners are trained to provide support on corporate social responsibility (CSR)-related issues as an integral part of providing service excellence to Canadian client companies. Services from the Canadian Trade Commissioner Service are offered free of charge to Canadian companies and organizations. 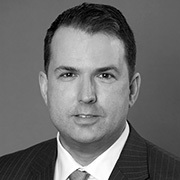 Paul Lalonde is a partner at Dentons Canada LLP. He focuses on anti-corruption, government contracting, international trade law and international arbitration. Mr. Lalonde has the distinction of being one of the few practitioners listed as a leader in international trade law in Lexpert, Chambers Global, the Legal Post and the Guide to the World’s Leading Lawyers (Legal Media Group / Euromoney Institutional Investor), as well as in Procurement law in The Best Lawyers in Canada (Woodward/White) and in Chambers Global and Who’s Who Legal. Mr. Lalonde is a founding member of the Canadian Bar Association Joint Committee on Anti-corruption and Chair and President of Transparency International – Canada. He has been a guest professor in international trade law at the University of Ottawa, has lectured at Osgoode Hall Law School and Queen’s University and is a frequent speaker at conferences in his areas of expertise. The World Economic Forum estimates that global bribe payments amount to over $1 trillion annually, with Latin American countries being among the most corrupt. Recently, there have been massive scandals that have brought attention to corruption and fraud in the region. Many foreign leaders are now asking for a focus on increased governmental transparency over the next few years. If you have businesses or will engage in business practices in Latin America, it is wise to prepare your organization and learn how to navigate corruption in this region. BDO Managing Director, Nina Gross will provide you insights on the most common forms of corruption in Latin American countries, and will also give advice on critical considerations and due diligence. Corruption in many parts of Latin American countries is often systemic, affecting citizens of all socio-economic statuses and severely impacting each country’s national economy. Nina will also discuss relationships between poor economic conditions and corruption as well as recent legislation and enforcement developments. In this webinar, Senior Trade Commissioner Brenda Wills will be speaking briefly on anti-corruption/governance considerations for Colombia. The Canadian Trade Commissioner Service provides services to Canadian companies around the world, and Canada’s trade commissioners are trained to provide support on corporate social responsibility (CSR)-related issues as an integral part of providing service excellence to Canadian client companies. Services from the Canadian Trade Commissioner Service are offered free of charge to Canadian companies and organizations. Prior to joining BDO, she held leadership roles at Deloitte LLP, leading the Financial Advisory Services FCPA consulting group and establishing its Global Anti-Corruption Training Academy. She also served as Director of the Office of Legislative Affairs under Chairmen David Ruder and Richard Breeden at the Securities & Exchange Commission. Ms. Gross is an attorney and has extensive involvement in the legal industry, including with the American Bar Association, International Bar Association, D.C. Bar Association, Federal Bar Association, SEC Enforcement Group and Women’s White Collar Defense Group. Paul Greven is a National Director and Chief Counsel for JLL Canada. He is responsible for all legal, compliance and risk matters across Canada for JLL. 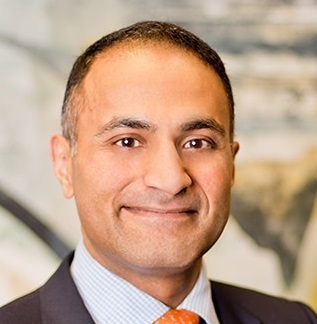 He has worked at JLL Canada for 5 years and is an active member of the firm’s executive management and charity committees. He previously practiced law for leading companies and law firms based in the Middle East, Cayman Islands and Toronto where his practice primarily focused on real estate transactions. In the past few years, Paul has dedicated considerable time spearheading various United Nations and UNGC initiatives through various public speaking and publication projects and is currently heading up a General Counsel group on behalf of the UNGC – Network Canada. As our world becomes more globalized and interconnected, corruption and unethical practices around the world continue to rise, followed by an increase in regulation and enforcement. Since all companies are vulnerable to such corruption, it is important that businesses understand these issues and their impacts, and recognize their role in overcoming these global challenges. During this webinar, speakers from Barrick Gold, the Royal Canadian Mounted Police, the Conference Board of Canada, and Global Affairs Canada, will discuss the importance of anti-corruption management, and share personal experiences, relevant tools and partnerships for creating effective compliance programs. Please input your email to view the free e-session recording. The e-session will load upon submission of the form. This is the introduction e-session for our Anti-Corruption Certificate Program. The Canadian network of the United Nations Global Compact is offering a certificate training program that includes 13 online training sessions, all instructed by industry experts to provide key learnings and practical tips to teach you how to develop an anti-corruption program from start to finish. Learn more about the Anti-Corruption Certificate Program. Jonathan Drimmer is a Vice President and Deputy General Counsel at Barrick Gold Corporation, where he oversees the Company’s global business and human rights program, as well as its global anti-corruption program, global investigation group, entity level litigation and disputes, and other matters. 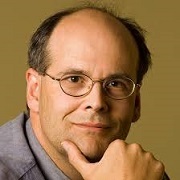 For more than a decade he has taught courses related to business and human rights at Georgetown University Law Center, and is a frequent author, lecturer, and media commentator on business and human rights issues, and in particular, the Alien Tort Statute and human rights disputes. 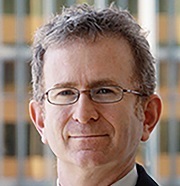 Until 2011, he was a partner at Steptoe & Johnson LLP, in Washington, D.C., where his practice focused on representing and advising clients in developing preventative compliance strategies, in navigating discrete questions and problems, and in enforcement proceedings and litigation related to human rights, anti-corruption, and other U.S. laws and international norms. He is a former Deputy Director in the U.S. Justice Department’s Office of Special Investigations, where he led investigations, first chaired numerous prosecutions, and argued appeals in cases involving suspected war criminals. He is a Lexis/Nexis Contributing Expert on International Law, he has testified twice before the U.S. Congress, and among his awards and recognitions is the first U.S. Department of Justice Assistant Attorney General Award for Human Rights Law Enforcement. He is a former Bristow Fellow in the Office of the U.S. Solicitor General, and a judicial clerk on the U.S Court of Appeals for the Ninth Circuit. He graduated from Stanford University and UCLA Law School, and is on the Board of Directors of Trace International, a non-profit dedicated to transparency and anti-corruption compliance. Sgt. Patrice Poitevin is a 34 year veteran of the Royal Canadian Mounted Police who has worked on organized crime, proceeds of crime and fraud investigations and is sought for his knowledge on financial crime and corruption related issues. Sgt. Poitevin has extensive experience in program development and capacity building. He has developed and/or managed a number of outreach programs and projects at the local, provincial, and national levels. He has also provided training at the national and international levels on a range of issues that impact businesses and communities. In his role as senior investigator and outreach coordinator for the Sensitive and International Investigations unit of National Division, Sgt. Poitevin’s mandate is to connect with Canadian businesses and stakeholders in order to provide them information on the RCMP’s global efforts to combat corruption and help them mitigate their risk and exposure to bribery and corruption. In addition to sharing information on the costs and impact of corruption on businesses and communities, Sgt. Poitevin advises on tools, strategies and good practices that will minimize risks, help individuals and companies to recognize red flags, and enhance the role of businesses in preventing and fighting corruption. Sgt Poitevin has completed studies in business administration as well as the Canadian Securities Course and is a Subject Matter Expert on anti-corruption and compliance. He is a frequent guest speaker at anti-corruption conferences and events. He also lectures on Anti-corruption and compliance at the MBA, EMBA and LLB level at several universities. Sgt Poitevin is the co-founder of the Canadian Centre of Excellence for Anti-Corruption (CCEAC) at the University of Ottawa and of the Global Anti-Corruption University project. He is a member of the Canadian mirror committee for the ISO 37001 Anti-Bribery management system standard and the UN Global Compact Network Canada Working Group. Felix Caveda is a Trade Commissioner currently working at the Responsible Business Practices Unit of Global Affairs Canada. He manages the Corporate Social Responsibility funds and supports the promotion of international CSR standards and guidelines at the Trade section of the Department. Felix covers the files of anti-corruption as one of the subjects under CSR and is responsible for supporting the missions in Latin America and the Caribbean raising awareness of the Canada Corruption of Foreign Public Officials Act (CFPOA) among other tasks. Lived and worked in Guinea, West Africa, and Colombia, Barbados and Uruguay. Graduate from Carleton University with Master Degree in Latin American Studies. Susan recently joined the Board of Transparency International Canada and is the President of the board of directors of Partnership Africa Canada, a non-profit organization dedicated to addressing the problem of conflict minerals. GCNC’s Anti-Corruption Working Group aims to recognize the UN Global Compact’s Tenth Principle – Anti-Corruption, to aid Canadian companies in their efforts to develop internal compliance programs and internal controls. This working group has published an e-book, “Designing An Anti-Corruption Compliance Program: A Guide for Canadian Businesses”. The Working Group is led by Johnathan Drimmer, Vice President and Deputy General Counsel of Barrick Gold Corp.
Zain is a Partner at EY and leads the Anti-Corruption initiatives for the Extractive and Financial Services sector within the Fraud Investigation & Dispute Services (FIDS) group of EY LLP, in Canada. Zain is focused on helping companies develop pragmatic Compliance programs through the development of a structure that engages people, develops processes and leverages technology. Prior to Joining EY, Zain was a Senior Vice President at one of the World’s Leading Global Banks and held the position of Anti-Bribery & Anti-Corruption Officer and was responsible for ensuring the financial institution’s compliance with Anti-Corruption legislation. Nadia Ahmed is a Senior Manager in the Fraud Investigation & Dispute Services department in the Toronto, Canada office of Ernst and Young LLP. 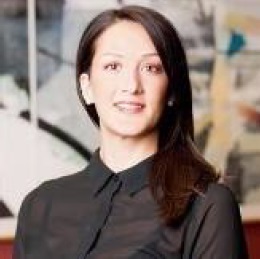 Prior to joining the Fraud Investigation & Dispute department, Nadia spent eight years in the Toronto Audit Group at Ernst & Young, specializing in the power and utilities industry. Forensic Data Analytics – National champion overseeing forensic data reviews focusing on structured data and text mining of corporate data, including vendor payments, travel and entertainment expenses, payroll and other records on behalf of clients in various industries, risk profiling and quantifying suspect transactions. Investigation of Fraud – Managed the development of the data visualization dashboard to enable the detailed examination of electronic records and invoices, in an effort to identify and investigate potential invoicing fraud conflicts of interest. Current Trends in Fraud and Corruption – Presented at an ‘Excellence in Finance’ series focused on trends in fraud with a specific focus on energy services and specialty chemicals. In this webinar, the GCNC shows participants how to draft and submit your Communication on Progress (COP) in a way that effectively communicates with a company’s stakeholders and complies with the UNGC’s reporting requirements. Understand what COP is, including its submission requirements and options. Learn how to communicate to stakeholders in a transparent and public manner. Ask questions to GCNC and UNGC staff about COP and navigating the UN Global Compact’s online submission portal. Aparna Venkatachalam is the Senior Program Manager of the UN Global Compact Network Canada, and a Senior Consultant at B.Accountability. Aparna has over 6 years of international work experience in the area of Corporate Social Responsibility in a broad range of industries. Aparna is passionate about engaging businesses to create mutually beneficial solutions to complex development challenges in the business environment. In her spare time, Aparna also volunteers with the Foundation of Environmental Stewardship, a youth-led climate change education organization based in Toronto.